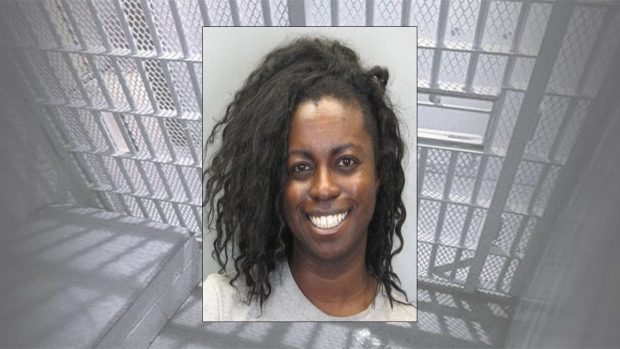 The death of a mentally ill woman who was subdued with a stun gun at the Fairfax County jail has been ruled a tragic accident by the Fairfax County commonwealth's attorney. "It is my legal opinion that there is not probable cause, much less proof beyond a reasonable doubt, that anyone involved in this case committed a crime," Commonwealth's Attorney Raymond F. Morrogh wrote in his report. Natasha McKenna was restrained at the hands and legs when she was shocked four times, according to an earlier report. Northern Virginia Bureau Chief Julie Carey reports on charges not being filed against deputies involved in the death of a Fairfax County Detention Center inmate. The medical examiner previously found McKenna's death was accidental. The medical examiner said the cause of death was excited delirium, associated with physical restraint including use of conducted energy device. Schizophrenia and bipolar disorder were listed as contributing causes. "It was Ms. McKenna's severe mental illness, coupled with the tremendous physical exertion she put forth over an extended period of time struggling with deputies that resulted in a cascade of lethal chemical reactions inside her body," Morrogh wrote. Deputies tried to restrain McKenna in a chair so she could be transported to Alexandria. According to the report, she thought they would hurt her. "You promised me you wouldn't kill me. I didn't do anything," McKenna said, according to the report. She fought deputies for more than 17 minutes and was shocked four times. She lost consciousness and died five days later. "It's a horrific tale of suffering," Fairfax County commonwealth's attorney Ray Morrogh said. But the investigation determined deputies did nothing wrong. “This decision sends a frightening message to members of minority groups and the mentally impaired about equal protection in Fairfax County,” Harvey Volzer, the attorney for McKenna's family wrote in a statement Tuesday afternoon. Tasers are no longer being used at the jail and a team from the sheriff's department has traveled to see model programs designed to divert mentally ill offenders from jail and into treatment. Video of deputies trying to restrain McKenna is expected to be released soon. McKenna's death has been one of two big cases under the spotlight in Fairfax County for law enforcement’s use of force. In the case of a Springfield man shot by a Fairfax County officer during a standoff, a special grand jury charged the officer with murder.